Taking a good look at the amount of training I had done going into last year vs this year, I guess I was slightly better prepared this time around. But I was also more prepared to run a smarter race - which I think was the difference between a 5:05 and a 6:06 marathon time. So. A month or so ago, I had started training again, looking to do an easy few races through the end of the year to ease myself back in to things. My first race back was the Journal Jog, which actually went much better than I expected. 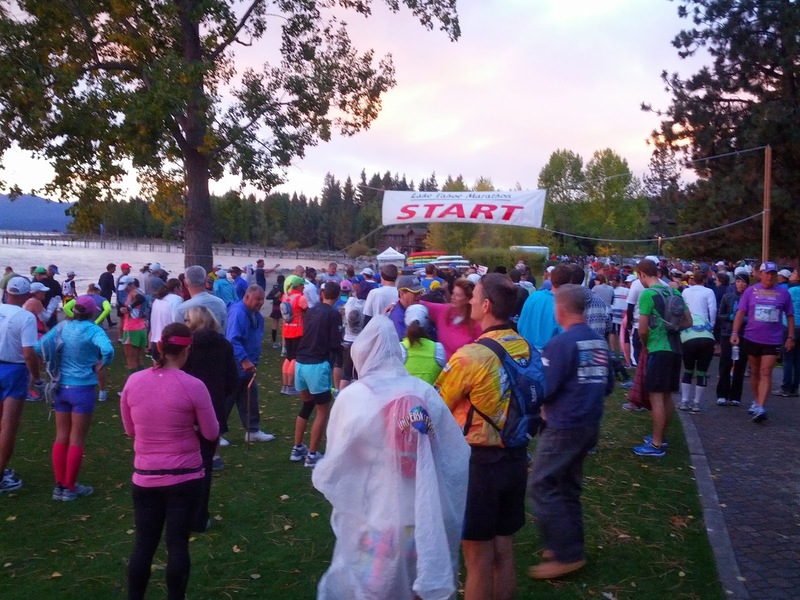 Next, I printed myself up a training plan for the Nevada Day Classic at the end of October, and started in on that. When the opportunity arose to continue my streak at the Tahoe Marathon, though, I was apparently unable to resist. Got my entry in about a week before the race, and started to plan for it. The smartest thing to do, I decided, was to stick to a planned run/walk strategy, at least for the first half of the race. I wasn't sure in what proportion to do it, though, and hadn't really decided even the day before the race. After the hills, I tried to fall back into a run/walk system again for the last 4 miles, but the legs were pretty spent - I basically ran when I could and walked when I had to. Pretty much knew I wasn't going to get in under 5 hours, but thought I could make it an hour faster than last year - which I almost did. 6:05:50 vs. 5:05:57. Close enough for me. Hurts just looking at that. And speaking of hurting, I think I'm more comprehensively sore after this race than any I can remember. Thighs, calves, back, shoulders, in that order. About time for more naproxen, I think. I was impressed with the organization of the whole race this year. Packet pickup was much smoother than last year, the shuttle buses weren't confusing at all, and everyone seemed to know what was going on. Glad I kept the streak alive.